cx-6636-016 A drawing of a letter, a candle, and some sealing wax. 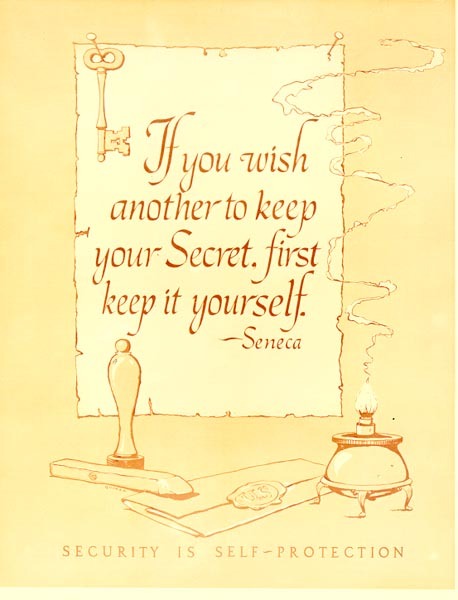 The quote in the center reads, "If you wish another to keep your secret, first keep it you self. ~ Seneca" The caption below reads, "Security is self-protection."